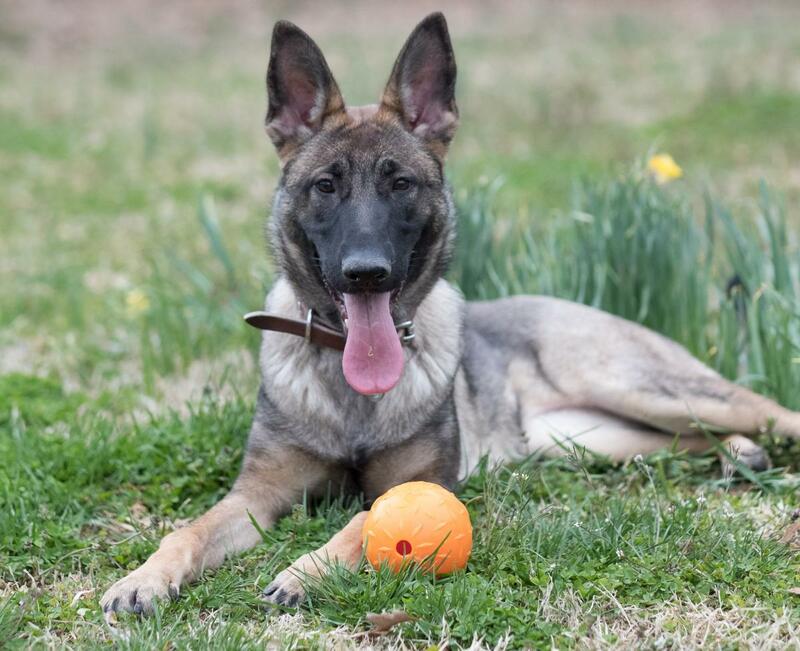 German Shepherd Dog Forums > Life With Our Dogs > General Information > Sturdy Collar? Looking for a new collar for Obi. I have a new one on him now but I keep it as a back up one, I want a good and strong collar. His other collar snapped at the buckle when he chased after a goose (we are working on this, our neighborhood is overcrowded with aquatic birds). So I need one strong enough to withstand his loose leash walking training and the random times a goose flies out of the sky and lands less than 10 feet in front of us when we are leash training. I already have a good quality harness, loose leash walking works better on a collar for him. 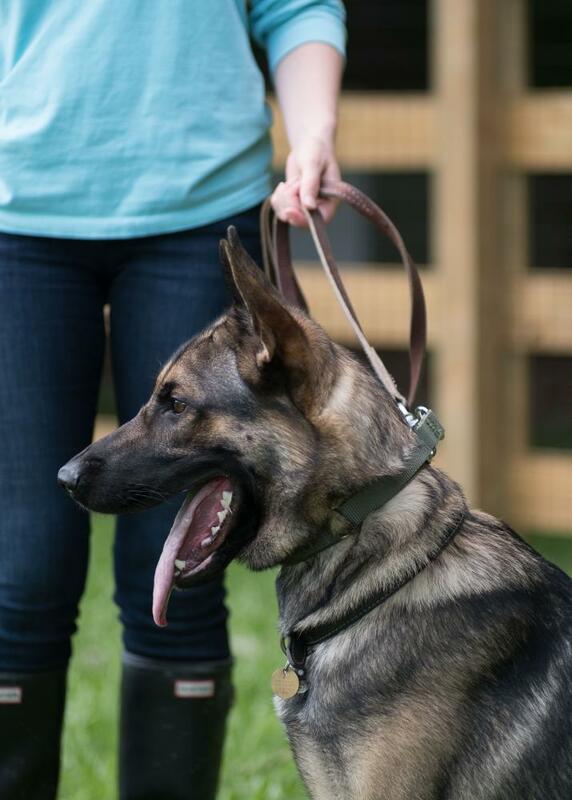 We always use a nylon slip collar as a backup collar - just in case one of the dogs backs out of the buckle collar. This saved me more than once when I had sighthounds, and we do it with all of our dogs now. Photos attached of our 7-month-old girl wearing the Leerburg 1" flat leather collar, and of our male wearing the keeper collar. Good luck! Let us know what you decide on - I'm curious what options you find! A good quality leather collar should outlive the dog it was purchased for! Just keep an eye on the stitching which will tend to wear over time. I have one that's outlasted 3 dogs. MidwestFarmersDaughter and kaydub_u like this. I think I will order the Leerburg 1" flat leather collar, thank you &#x1f642; I really appreciate the help! Thank you both! I just bought a collar from this place. He did a custom design for me at a super reasonable price but he has plain collars on his site as well. Custom Billet and kaydub_u like this. That's awesome, kaydub_u -- enjoy! You can't go wrong with the Leerburg collars! I've been pretty happy with a 1.75'' k9tactical collar for occasional use in situations I want a strong collar or a handle. I used to do endurance racing on horses and we used almost strictly biothane material, since then I’m a huge fan and use the same for the dogs collars. I get them from Gun Dog Supply, they include a riveted name tag for $12. The material is indestructible, totally weather proof, and looks like brand new after a quick wipe. They also have reflective ones for night time. Plenty of color options and collar styles too, I like the center rings. You might also check with Bud at K9noz at http://k9noz.com/ . He will custom make just about any type of collar you want in biothane.